Can you believe we’re at the Werewolf Bar Mitzvah crescendo already?! It feels like only yesterday that we were hanging out with Tracy, Judah, Scott and Jack – particularly Jack, since it was yesterday. 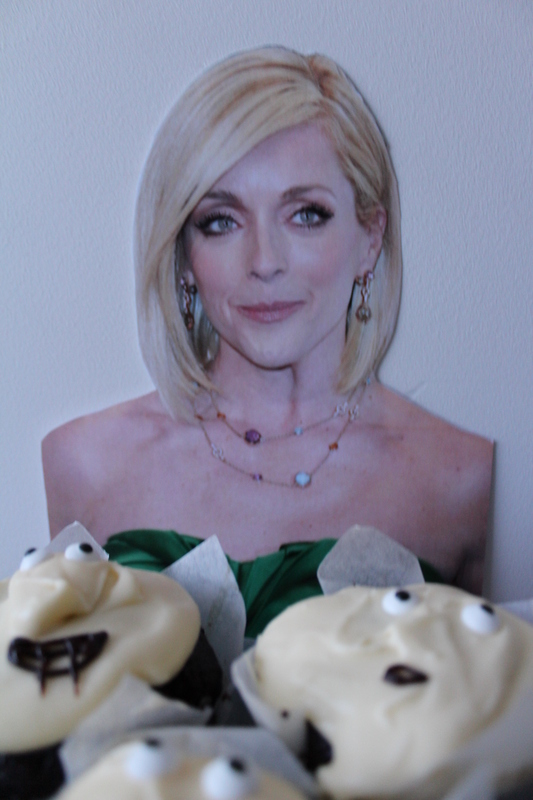 While we’ve managed to go the week without Teens and Al, we couldn’t celebrate a spooky soiree without the true Queen of 30 Rock, my dear friend, the supremely talented and future EGOT Jane Krakowski. 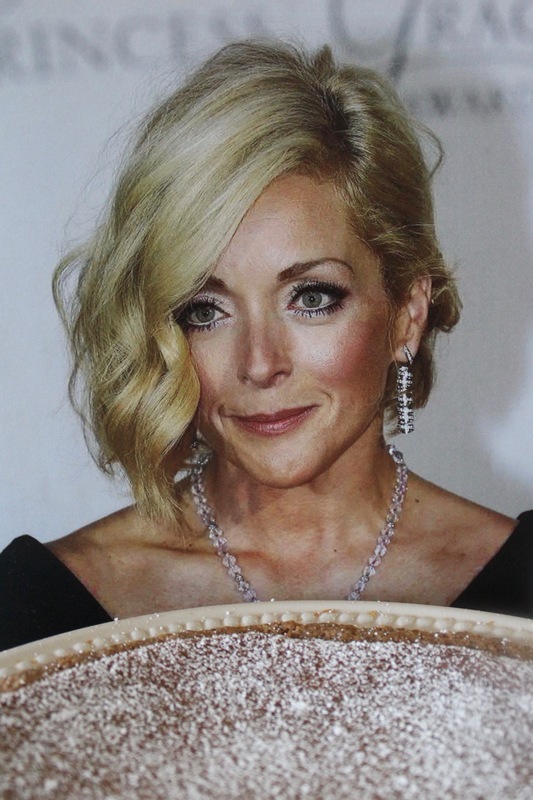 And by true Queen … would you cross Jenna Maroney? I first met Jane in the 80s while co-starring in the original Broadway production of Starlight Express until my nemesis ALW cut my part – Spread, the loosest caboose – due to my pornographic interpretation of the roll. It was a rough time in my life, having my inevitable first Tony ripped from my hands and I never would have gotten through it without Jane’s love and support. 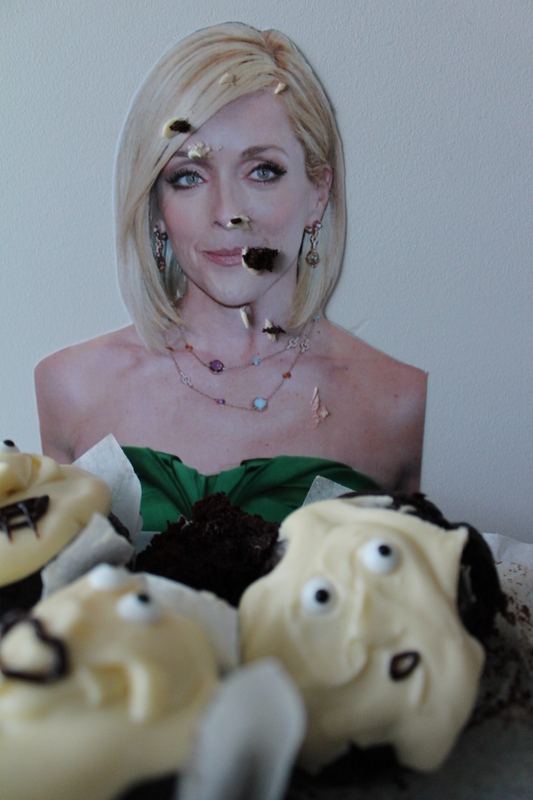 Given her egregious snubbing at this year’s Emmys, I really wanted to make our time together special enough to pay back her kindness … and there is nothing more special than a batch of my Jane Cakeghoulski. Again, cake decoration is far from strong point … but that doesn’t matter when the cake is this good. Which is all thanks to Nigella Lawson, since I converted her Chocolate Guinness Cake into cupcakes because what represents the blackness of death better than a dense, guinness cake? And what is better at making the whiteness of a ghost stand out. Enjoy – you’ll never forget them! Combine the guinness and butter in a large saucepan over low heat. Once the butter is completely melted, whisk in the cocoa and sugar and remove from the heat. Whisk the sour cream, eggs and vanilla in a jug and then whisk into the slightly cooled mix, before whisk in the flour and bicarb. Pour the batter – which is pretty runny, so don’t be alarmed – into 12 lined Texan muffin tins. You could also use normal muffin tins but then you’ll end up with huge muffin tops – which wouldn’t be the worst thing, they are all that. Place in the oven and bake for about half an hour, or until an inserted skewer comes out clean. Remove to a rack to cool completely. While it is getting hella cool, beat the cream cheese in a stand mixer until smooth. Add in the sieved icing sugar and double cream, and beat for a further minute. Dollop the ghastly ghost icing on the blackened cakes, decorate with spooky faces … and then devour. I ain’t afraid of no ghosts.